As you can tell by my posts, I’m a major veggie lover and always try to incorporate leafy greens into my meals. I am a salad addict! The first step is admitting you have the problem, right? 😉 At times though, I’m a bit lazy and want an easy, quick way to enjoy my greens. 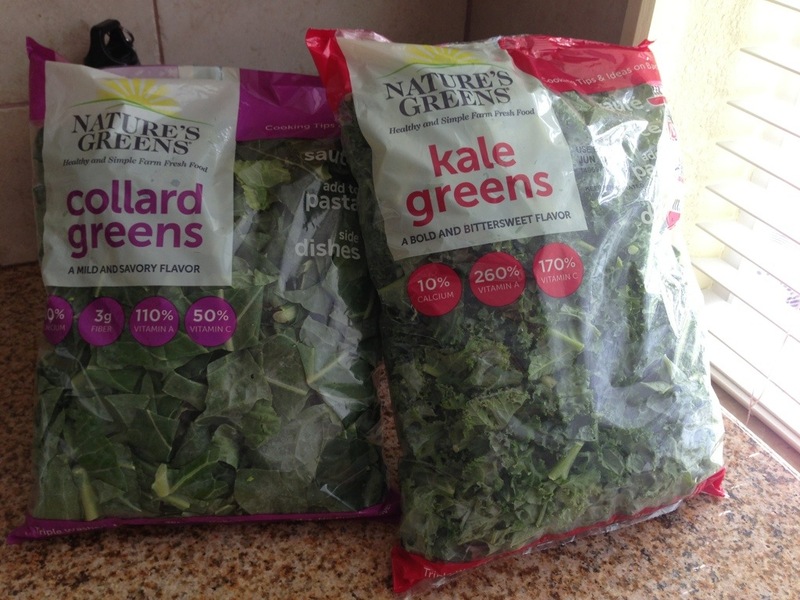 Nature’s Greens is a complete line of triple-washed greens such as kale, collard greens, and mustard and turnip greens. This stuff rocks!! I love kale and collard, but the lazy girl in me hates cleaning and separating the stringy stalks from the leaves and trying to get that gritty sand completely out of there! Nature’s Greens solves that problem and are available in both one and two-pound packages that were so easy and convenient to use. Nature’s Greens is produced by WP Rawl, a leading producer of fresh bulk and packaged greens based in Pelion, SC and lucky for me, sold in Florida! Kale is all the rage now and Nature’s Greens makes it easy for the kale novice to try it out in a convenient, pre-packaged way. It’s so easy to make kale chips and this company makes it even easier. Just take it out of the bag, stick it on the baking sheet, and then it goes in the oven! 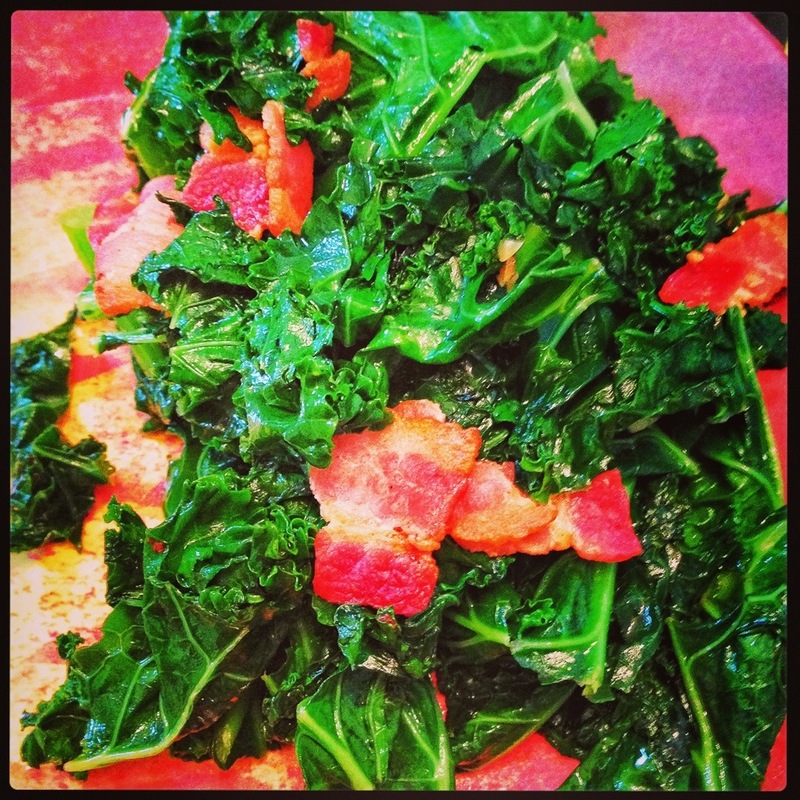 I made some quick sautéed kale with garlic and bacon and it was so tasty! If you’re into smoothies/juicing, then these greens are right up your alley! 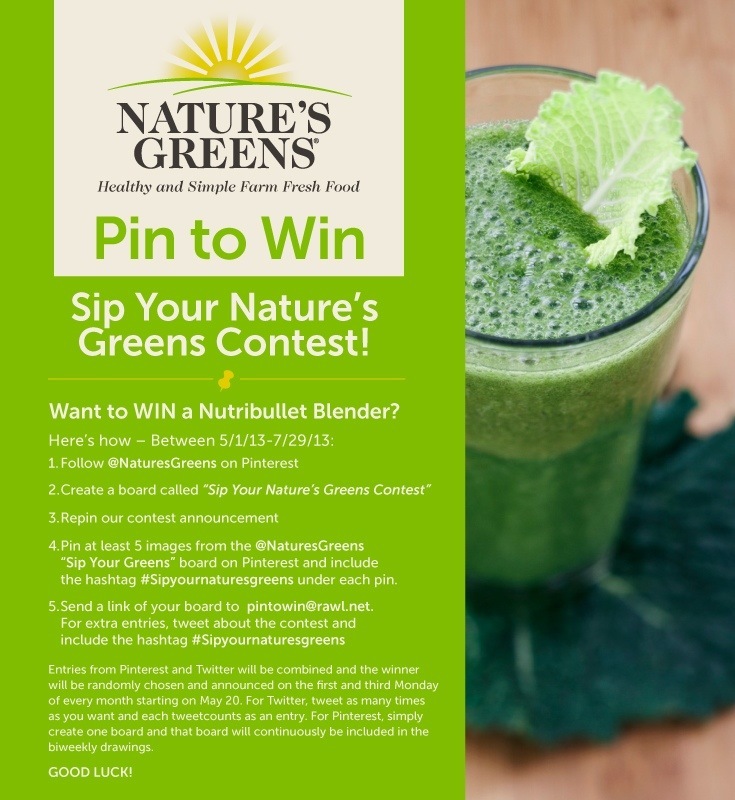 And if you’re not making smoothies yet, but want to start, Nature’s Greens is giving away FREE Nutribullets as part of their Pin to Win contest on Pinterest. Check out the details below. In Florida, Nature’s Greens are available at Winn Dixie, Walmart, and Save-A-Lot. Hopefully they’ll start carrying them at Publix soon, too! Check them out on their website and head over to their Facebook page to stay connected! Try them out and make sure to enter the Pin to Win contest! Disclosure: WPRawl sponsored this post, however the thoughts and opinions expressed herein are my own and are unbiased and honest.